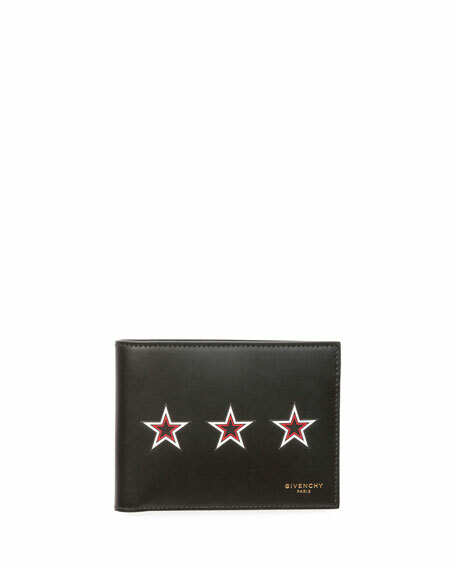 Givenchy wallet with three-star motif. Embossed logo at front corner. 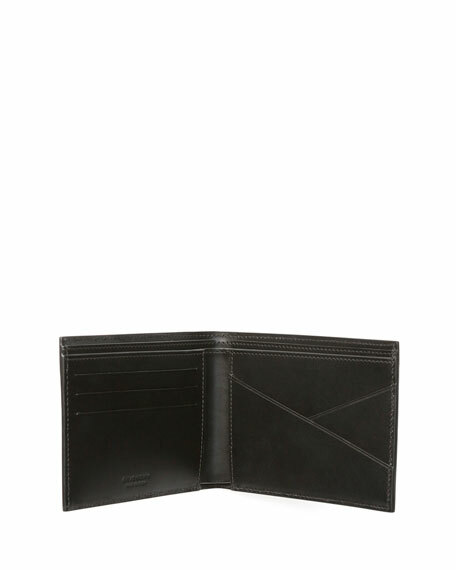 Smooth leather interior with embossed logo. 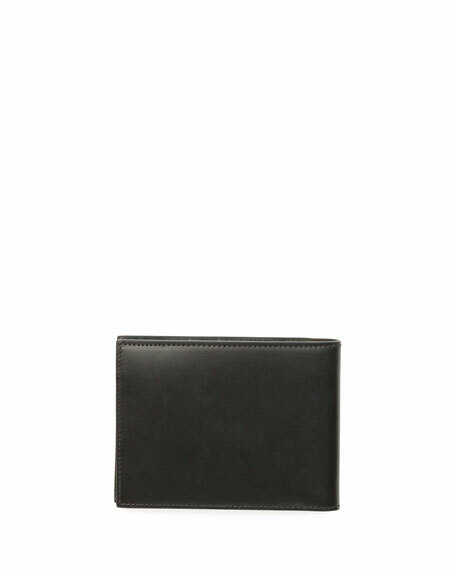 Two bill compartment, five card slots, two slip pockets. For in-store inquiries, use sku #2395942.